The people behind Borderlands 3, Gearbox Software and 2K Games, have confirmed what many people have been guessing based on a deleted tweet: the game is coming out on September 13th. It’ll have several different special editions, and, yes, the PC version will be a timed exclusive on the Epic Games Store for a whole year. 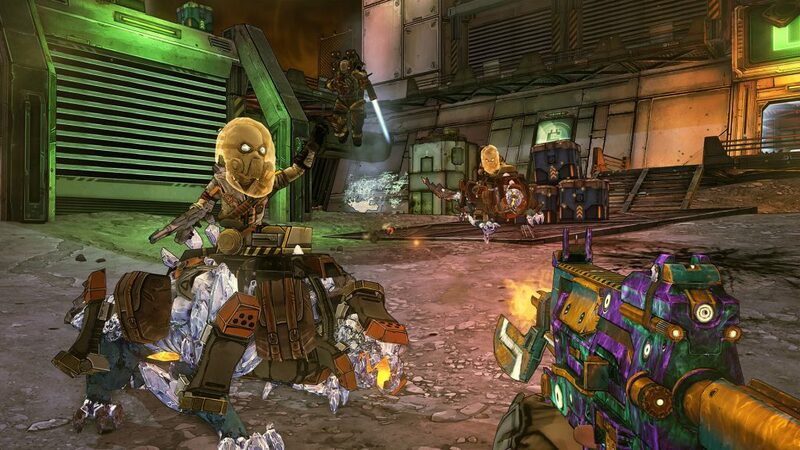 On April 1st, a quickly-deleted tweet sent the gaming public abuzz: a new Borderlands game was coming in September this year. The news of the launch date came almost out of nowhere, so people were pretty skeptical, given the date. Well, as it turns out, it wasn’t a joke at all. Borderlands 3 is indeed coming in September; on Friday, September 13th, to be exact. The game will be available on PlayStation 4, Xbox One, and PC. And, yes, it will be a timed exclusive on the Epic Store. It’ll come out on other digital storefronts starting April 2020. And, wouldn’t you know it, the game will also come in several different editions. You’ll have the choice between the Standard Edition, the Deluxe Edition, the Super Deluxe Edition, and the Diamond Loot Chest Collector’s Edition. Yes, really. Doesn’t exactly roll of the tongue, but it sure lets you know how super ultra special it is. The editions come with an increasing number of both digital and physical goodies, including cosmetic packs, XP and Loot Drop boost mods, campaign DLC packs, key chains, cloth maps, and so on and so forth. So, there you have it. Mark September 13th for Borderlands 3. The marketing so far has been Rage 2 levels of obnoxious with all the talk about how mayhem is coming, but I’m fairly confident that it’s going to be a competent and fun game. That is, unless you’re one of the more… vociferous detractors of the Epic Games Store. Then you’ll probably boycott it at least until April of next year.